This man is Kiyomitsu Kitajo, he's an expert in kombu and for that he's also an expert in umami, due to some odd circumstances he's come in to our life's for the next few days. He's the general manager of the Tenma Osaka Kombu Company, begun by his father 55 years ago, Mr. Kitajo is but one of a handful of kelp merchants left in the Osaka's traditional market area of Tenma-bashi. 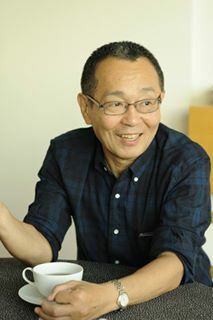 He available to give talks about kombu, umami and cooking demonstrations. Pop myself an email or tell someone! We'll be arranging a talk upstairs in 3fe with a day and time coming soon! Some interesting links for ya! This is a really great opportunity to learn something amazing about one food stuff that is becoming more and more prevalent lately!